Calling all cycling lovers. This necklace is for you. 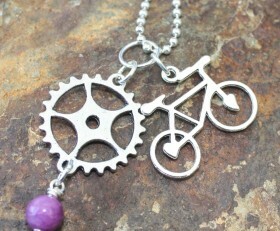 Beautiful bicycle charm complimented with a “gear” and accented by a crystal/stone in the color of your choice. 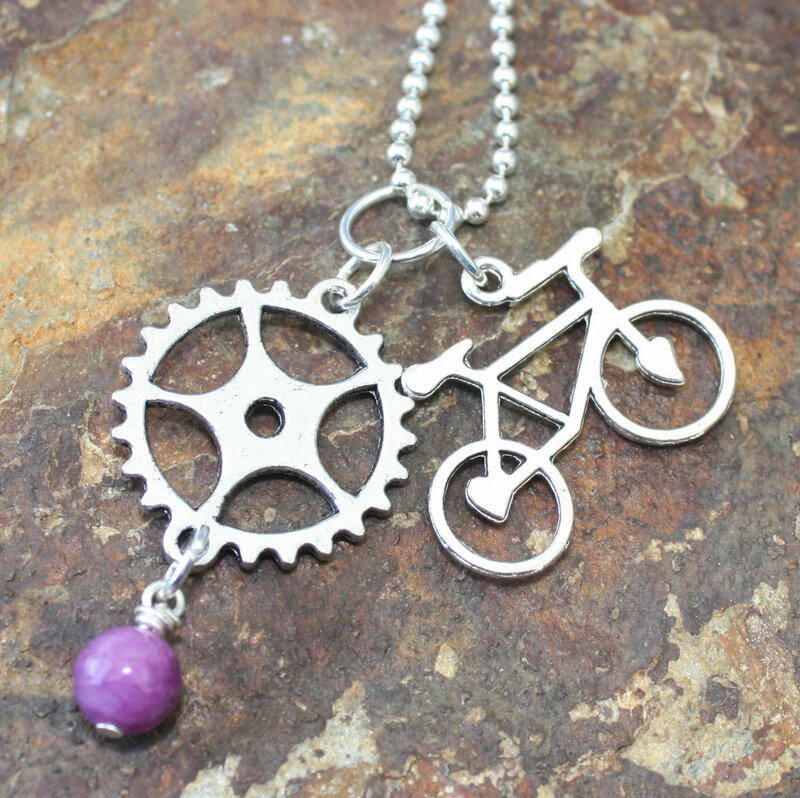 Categories: Biking, Shop, Sports, Triathlon Jewelry.